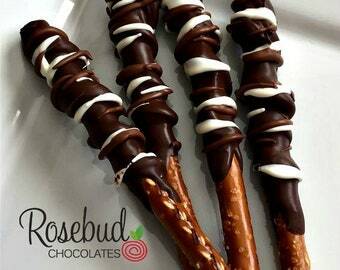 * Our confections are produced in a commercially licensed, inspected and insured kitchen. 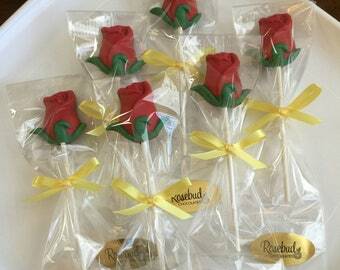 * All of our favors are sealed in crisp, clear cellophane bags and tied with satin ribbon. * We ship throughout the United States. If I could leave zero stars, I would. 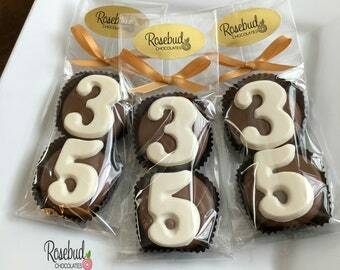 I ordered these favors on 3/26. Two weeks after ordering I contacted her twice before getting a response. She then emailed me twice giving me different shipping dates. When I asked for a tracking number, I didn’t hear from her. Worst. Customer. Service. Ever! I would never order from this shop again and I wouldn’t recommend anyone order from her. Delicious and amazing, as usual, which is why we keep coming back! 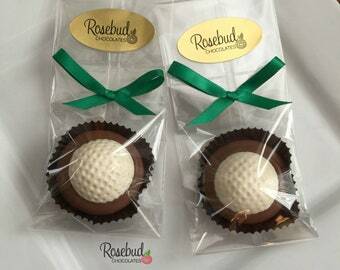 We are a mother & daughter team and have been creating specialty chocolates for over 10 years. 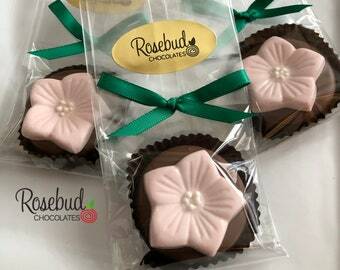 We use premium Guittard Chocolate and offer vanilla white, dark and milk chocolate. 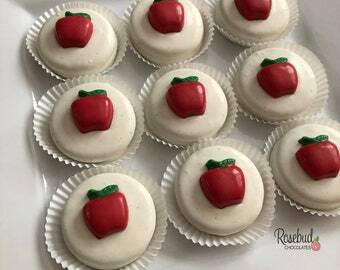 Our confections are made to order and prepared in a licensed, insured commercial kitchen. 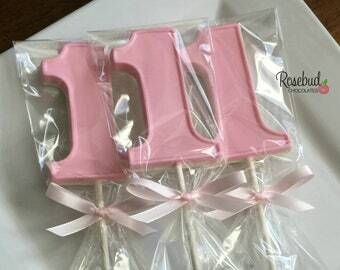 We offer chocolate lollipops, hand dipped cookies, pretzels and other unique favors. 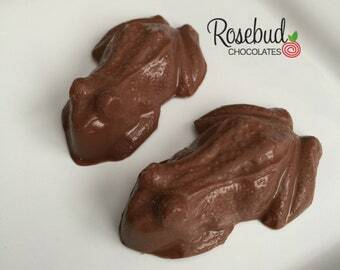 Welcome to Rosebud Chocolates. 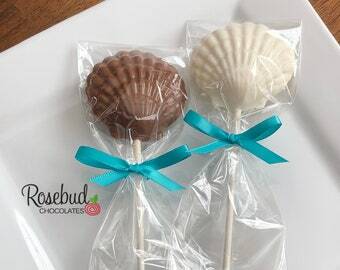 We offer specialty chocolate favors. 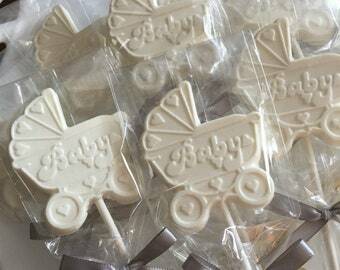 We use premium Guittard Chocolate & offer vanilla white, dark & milk chocolate. 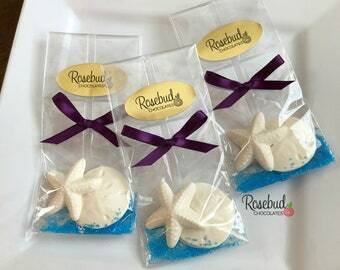 Our favors are individually sealed in crisp, clear cellophane bags for freshness & tied with satin ribbon. If an item is damaged or melted, please contact us immediately. We are unable to refund shipping charges. When placing your order, PLEASE MAKE A NOTE OF THE EVENT DATE and details in the message box during checkout. This will ensure that your chocolate will arrive in a timely manner. 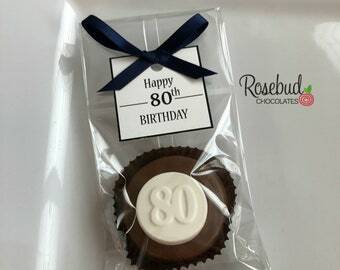 Our chocolates are made to order. Please allow 3-5 business days to process your order, plus shipping time. We ship year round via USPS PRIORITY MAIL, 2-3 day delivery, throughout the United States. We ship on SATURDAY, MONDAY, TUESDAY & WEDNESDAY unless special arrangements are made. We are not responsible for incorrect addresses. 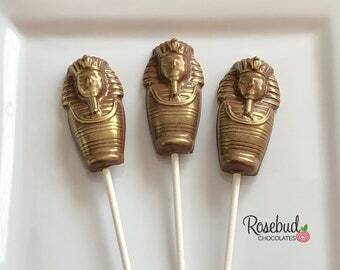 Your shipment will contain cold packs to protect your chocolate and are included in shipping and handling charges. Chocolate should be stored at ROOM TEMPERATURE and eaten within 3 to 4 weeks of arrival. Please do not refrigerate. 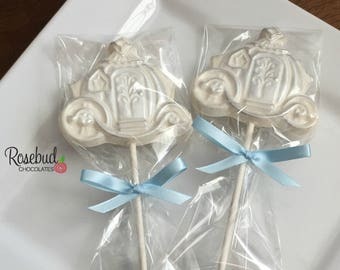 Our confections are prepared in a commercially licensed, inspected and insured kitchen where nuts and milk products are present. WE RECOMMEND THAT PEOPLE WITH FOOD ALLERGIES PLEASE USE CAUTION!! !